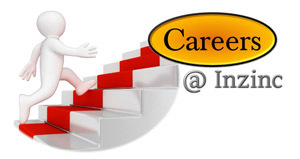 Inzinc Consulting India requires following personnel to expand its panel of consultants, executives and lead auditors. Job Description: Conduct awareness training and internal auditor training on ISO 9001 on a project / case-to-case basis. Job Description: Conduct ISO 9001 certification audits on behalf of our certification body on a project / case-to-case basis. Job Description: Must do documentation as per our instructions on a project / case-to-case basis. Job Description: Conduct awareness training and internal auditor training on ISO 14001 on a project / case-to-case basis. Job Description: Conduct ISO 14001 certification audits on behalf of our certification body on a project / case-to-case basis. Job Description: Conduct awareness training and internal auditor training on ISO 22301 on a project / case-to-case basis. ISO 20000 Job Description: Conduct awareness training and internal auditor training on ISO 20000 on a project / case-to-case basis. Job Description: Conduct awareness training and internal auditor training on ISO 22000 on a project / case-to-case basis. ISO 22000 jobs in Karnataka, Kerala, Tamil Nadu, Andhra Pradesh, Telangana, Goa, Maharashtra, Gujarat, Madhya Pradesh, Odisha, Delhi, Mumbai, Chennai, Kolkata, etc. Job Description: Conduct awareness training and internal auditor training on OHSAS 18001 on a project / case-to-case basis. Job Description: Conduct OHSAS 18001 certification audits on behalf of our certification body on a project / case-to-case basis. ISO 27001 Lead Auditor Job Description: Conduct ISO 27001 certification audits on behalf of our certification body on a project / case-to-case basis. Job Description: Provide full consultancy for ISO 27001 on a project / case-to-case basis. Growth: If the candidate proves his/her worth and our organization’s expectations, he/she can be absorbed into a permanent job after looking at 6 months’ performance. ISO 13485 Lead Auditor Job Description: Conduct ISO 13485 certification audits on behalf of our certification body or conduct ISO 13485 Internal Audits on a project / case-to-case basis. Job Description: Provide full consultancy for ISO 13485 on a project / case-to-case basis. ISO 13485 gap analysis jobs, ISO 13485 Documentation jobs, ISO 13485 Implementation jobs in Bangalore, Chennai, Mumbai, Pune, Hyderabad, Coimbatore, and other cities of Karnataka and India.